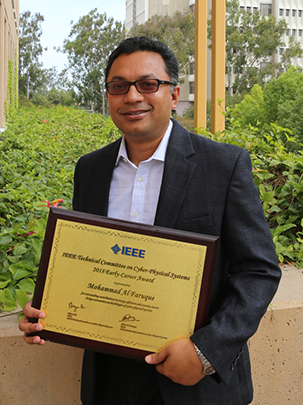 CECS Professor Mohammad Al Faruque has received for the second time in two years an Early Career Award from an IEEE Committee or Council. The Early Career Award recognizes a researcher who has received a doctorate within the last 10 years, for demonstrating outstanding contributions to the field of cyber-physical systems. Congratulations, Professor Al Faruque! To read more information about this prestigious award, click here.